Opis: Polaris is quite an unusual star. First, Polaris is the nearest bright star to the north spin axis of the Earth. Therefore, as the Earth turns, stars appear to rotate around Polaris, making it the North Star. Since no bright star is near the south spin axis of the Earth, there is currently no South Star. Thousands of years ago, Earth's spin axis pointed in a slightly different direction, and Vega was the North Star. Although Polaris is not the brightest star on the sky, it is easily located because it is nearly aligned with two stars in the cup of the Big Dipper, and is the last star in the handle of the Little Dipper. 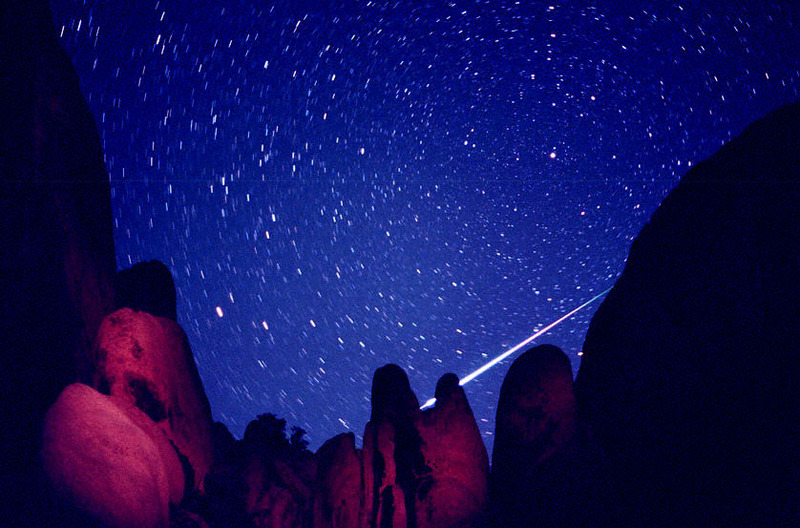 In the above picture, Polaris is the brightest star on the right, above the fleeting streak of a Perseid meteor. The surface of Polaris slowly pulsates, causing the star to change its brightness by a few percent over the course of a few days. This rare Cepheid variability of Polaris is, oddly enough, itself changing.